Did you see the headline? Write Something Dull. Write something dull???? Really???? Is that a good tip???? You know what, we need to allow ourselves to write rubbish from time to time. Let’s face it, not everything we write is going to be the best thing since sliced bread. It’s just not! We have to allow ourselves to fail – many times if necessary – on our way to success. 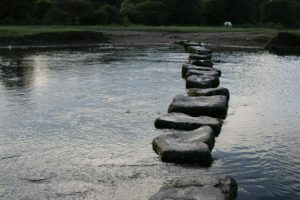 What is failure, anyway, if not a stepping stone to success? So allow yourself to enjoy your writing. The novel you are writing right now doesn’t have to be a bestseller. It doesn’t even have to be published. (Perhaps the next one will!) So turn off that perfectionist in you, because if you have to write perfectly, you may never write anything at all. So what if your story turns out to be a bit dull – it’ll be good practice, and you will have learnt something along the way. P.S. Would you like to meet up with other Christian writers? I have arranged a short (four week) evening course mainly for Christians who write fiction for young people in Orpington, Kent, UK, although anyone else interested in writing stories would be welcome. You can read more about it here. Registration will close on 28th February, and places are limited, so don’t leave it too late to save your place!